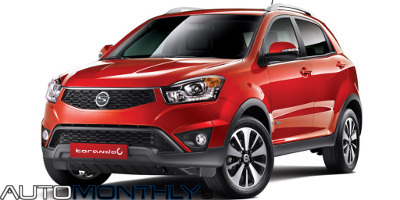 Gone are the times when Ssangyong made the ugliest cars you could find on the road, and the latest Korando is a proof of that, still keeping in mind concepts shown by the South Korean company like the SIV-1 and the LIV-1. The Korando C features several exterior and interior modifications, resulting in a better looking vehicle. 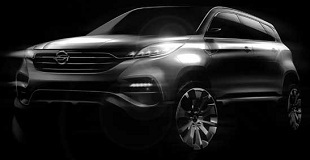 Some time ago you read here that SsangYong was going to reveal a new concept at the Seoul Motor Show, and they did exactly that. They revealed the LIV-1, which stands for Limitless Interface Vehicle, and that is pretty much everything the South Korean company said about this concept. 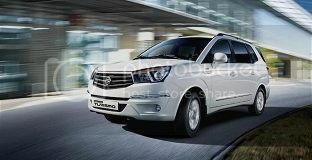 In recent months Ssangyong unveiled the SIV-1 and XIV, two Sport Utility Vehicles that serve as the basis for the next generation middle and large SUV line-up. The evolution of those concepts will be shown at the 2013 Seoul Motor Show which begins on March 28, and will be called the LIV-1. 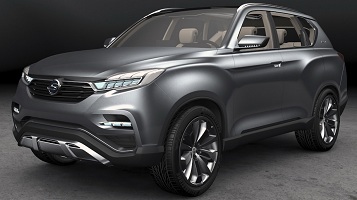 Yesterday i wrote an article about the new SsangYong Korando Turismo, also known as the Rodius or Stavic in some markets, and i said the car was ugly, like most cars the Korean company built over the last years, but this new concept is really promising. This should be considered a mini-bus instead of a multi-leisure vehicle (MLV), and, funny enough, it was introduced at the Seoul Trade Exhibition & Convention Center (SETEC) in Gangnam, Seoul. 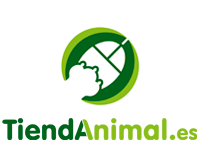 Unfortunately it doesn't have the style (ah ah..), in fact, its really ugly.